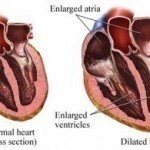 Marked by the incapacity of the heart to supply sufficient flow of blood to the body, congestive heart failure is a life-threatening medical condition caused by a weakened state of the heart. Some of the contributory factors include chronic heart problems like heart arrhythmias, congenital heart defects and myocarditis. Other possible causes include severe heart muscle damage or cardiomyopathy, high blood pressure and coronary artery disease. 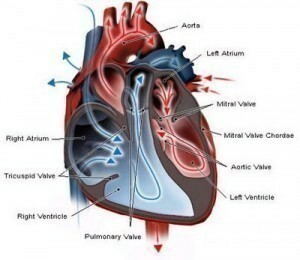 People can understand this severe health problem by taking a quick look at the different treatments, diagnosis and symptoms of congestive heart failure. To confirm the possibility of congestive heart failure, people can look at the different minor and major symptoms of this serious health problem. 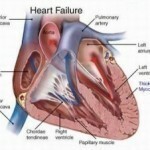 The early signs of chronic heart failure include weakness, fatigue and irregular heartbeat. There are also other uncomfortable signs such as wheezing, reduced exercise abilities and shortness of breath, particularly when lying down. In most cases, these symptoms are also associated with swelling of the feet, ankles and legs. Patients may also feel sharp pain and swelling somewhere along their abdominal region. Because of fluid retention, they can experience sudden gain of weight. Additional symptoms include nausea, lack of appetite as well as reduced alertness. In case there is acute heart failure, it is best to provide patients with utmost care and attention, especially when they exhibit major symptoms like rapid heartbeat, sudden fluid buildup as well as severe chest pain, which is clearly an indication of a heart attack. These signs are usually associated with foamy mucus and sudden shortness of breath. Proper diagnosis is highly important especially in life-threatening conditions such as congestive heart failure. Patients are commonly asked about their medical histories, and are subject to physical examinations right away. Soon after, these simple diagnostic procedures will be followed by more advanced methods like blood tests, chest x-rays and echocardiogram. If these primary tests are not enough, further procedures might be needed including ejection fraction and electrocardiogram. 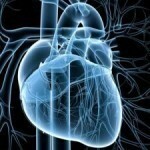 To get a better picture of the condition of their hearts, patients need to undergo a series of imaging tests. Common procedures include magnetic resonance imaging, multiple gated acquisition and cardiac catheterization. Upon seeing the early signs of this chronic health problem, it is best for patients to do certain measures that can help prevent further damages to the heart. Patients may take aldosterone antagonists such as eplerenone and spironolactone, which is effective in treating scars. The intake of diuretics is also good for the heart, particularly furosemide and bumetanide. Moreover, various types of drugs are available that can work wonders for the heart including beta-blockers, angiotensin II receptor blockers and angiotensin-converting enzyme inhibitors. Surgical procedures and devices are also readily available for congestive heart failure patients such as heart pumps, cardiac resynchronization therapy and implantable cardioverter-defibrillators.